While much of our tastes in summer turn towards lighter wines, we still go in from time to time for a big, hearty rib chop or other grilled delight that calls for a more substantial red. 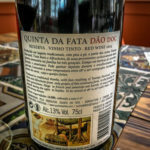 The Quinta da Fata Reserva from Dão DOC fit the bill quite nicely for us a couple of weeks ago. 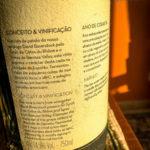 Made from a blend of Touriga Nacional, Tinta Roriz, and Alfrocheiro, it clocks in (like many Dão reds) at a medium weight and structure, at 13% abv. 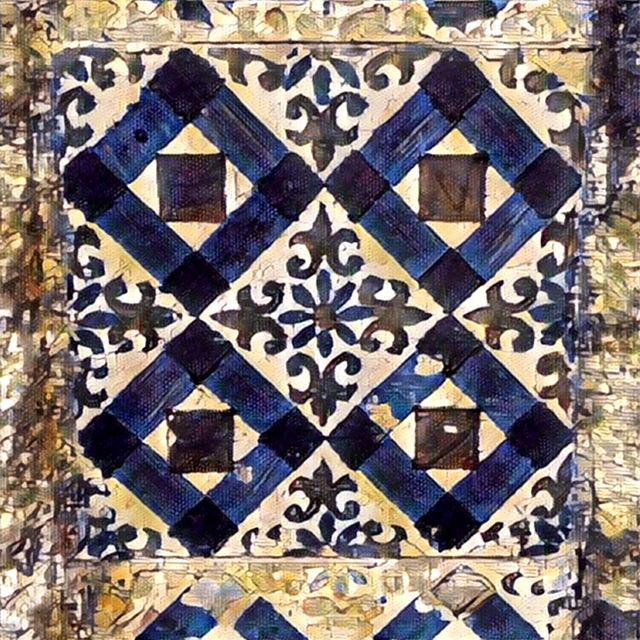 The wine was foot-trodden and fermented in lagares, followed by the use of French and American oak for 12 months aging before bottling. On the nose, the Fata tinto shows classic eucalyptus, with violets, and a whiff of smoky dark plum. Brambly on the palate, the wine is backed by blackberries, and cruises into the finish on their skins, for a wine that easily stands up to the charcoal from the grill. We’ve grown fond of rosés crafted from Touriga Nacional–which is often thought of as solely a grape for red wines and a basis of Port. 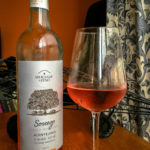 The variety’s signature cherry scent comes through in the best rosés, making for a delightful refresher that goes well with a wide range of summer foods. Herdade do Peso, in the Vidigueira region of Alentejo, makes a new favorite, from their Sossego line of moderately priced wines. 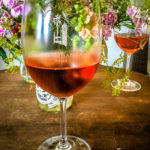 Lots of florals, including orange blossoms, join cherries on the nose of their 2017 rosé. The flavors continue with bright red cherries to taste, and a medium weight to stand up to grilled foods and basil-scented salads. The 100% Touriga Nacional wine is sustainably harvested, overseen by winemaker Luis Cabral de Almeida. 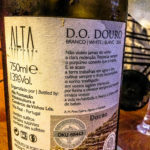 The Alta Pontuação white blend from Douro DOC came to us to test drive from our friends at Porreiro in Praia das Maçãs, to see if its freshness would be a good match, in our estimation, for their wide variety of petiscos and mariscos. With its aromas of elderflower, Meyer lemon, and honeydew melon, plus good acidity over the taste of lemon tarts–we had to agree it was a good choice. 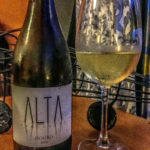 We ended up enjoying it with chicken breasts in a tarragon cream sauce, and a side of roasted potatoes–the acidity was just enough to cut through the rich, herbal entrée, and light enough to enjoy on a warm summer Sunday evening, at 13% abv. Roughly 15 years ago, those behind Vinhas do Telheiro planted Syrah vines in its loamy, stony soils, and, in the best years, Herdade do Esporão vinifies a 100% Syrah from this location in Alentejo. As a big fan of the Syrah grape (here’s a quiz from Wine Spectator to test your knowledge), I like to try it from various climates, as it shape-shifts in response to those differences found in each location. 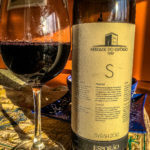 Esporão fermented the syrah in stainless steel tanks, followed by 12 months in American oak barrels, followed by 18 months in the bottle prior to its release. 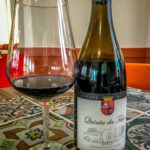 The 2012 Telheiro Syrah shows as a classic warm-climate Syrah, with lots of warm, dark fruit, and a healthy amount of alcohol (14.5% abv, which is towards the upper end for most Portuguese reds). With this richness, we paired it well with our own arroz de pato where it complemented the duck and chouriço woven into the dish. It’s at the perfect time to drink, and, though it could stretch another couple of years, why wait? We kick off the month of July with a revisit to a wine we were invited to taste in progress last year–what a treat to be there for its debut to the world! 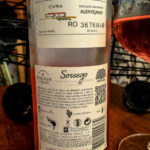 Its birthday coincided this weekend with the birth of a beautiful baby boy to our friends, so how appropriate that it’s the Espumante Rosé from Quinta Sant’Ana in Gradil. Crafted using the methodo classico, this first sparkling effort from the quinta is 100% Touriga Nacional. With a deep salmon color and medium mousse, its moderate acidity goes well with a wide variety of petiscos, including the marvelous oysters in mignonette on the half shell served at the wine’s launch party in late June. Aromas of fresh scones balanced white cherries and blossoms on the palate, with just a touch of honey keeping the espumante from being bone-dry. Saude!